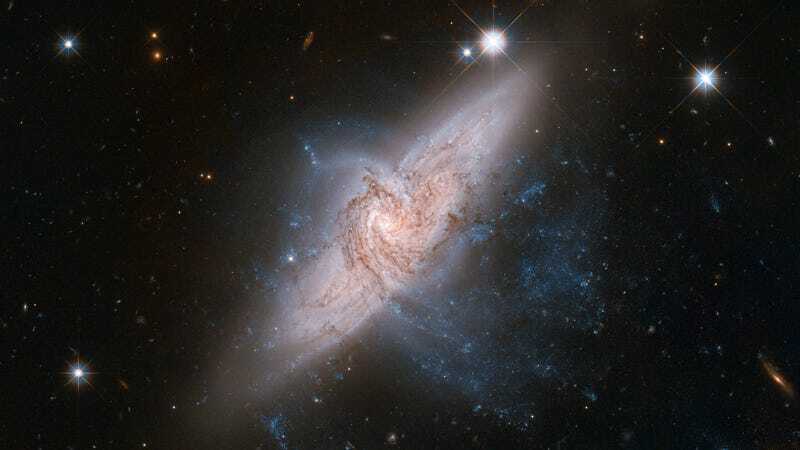 Hubble has captured this beautiful new view of NGC 3314, two spiral galaxies located in the constellation Hydra, between 117 and 140 million light-years away from Earth. But they are not really colliding. If they were, they would look like this. It's an optical effect: NGC 3314A (on the foreground) and NGC 3314B (on the background) are just overlapping, separated "ten times the distance between our Milky Way and neighboring Andromeda galaxy."